The Lusso 10 panel Pro-Gel 2 shorts are great for long days in the saddle and are packed full of user-friendly features. Made from Cooltech fabric these shorts will keep you comfortable in warmer weather, wicking sweat away from the surface of your skin and helping you stay fresher for longer while the Pro-Gel 2 seat pad has been designed to cushion you while riding in the saddle, eliminating pressure points and encouraging to ride further for longer. A 10-panel construction means that these Lusso shorts are particularly form fitting and allow free movement of your legs without any feeling of restriction. Lusso have also included SC9 leg grippers to help ensure there is no unwanted movement on the thigh leaving you to enjoy your cycling more. Good quality locally made shorts.I have two pairs and wore them every day whilst on a recent cycling trip without any discomfort.Very comfortable! My husband was so pleased with the first pair of these shorts that I treated him to a couple more pairs. The service in both cases was excellent, fast and trouble free. A fair price too. Waist Really comfortable; nice and long. Good fit (some shorts I have needed to be L, I chose M for these....I have 33" waist). Comfortable, nice finish, good value. Definitely happy with my purchase and merlin. Great shorts at a great price. Tried these after buying their Lusso tops. Comparable IMHO with some DHB ones I own. Very nice fit, chamois is very comfy and the 50+ sunscreen is a bonus. Best thing I can say is I just forget I'm wearing them. Oh and their made in Manchester. I live in the Middle East where heat and moisture can be problematic to say the least. These shorts fit extremely well and are very comfortable. I will be buying more of these shorts! No need to pay for more expensive brands. Great shorts particularly for long rides. Excellent service from Merlin. These are terrific shorts. Really comfortable particularly on long rides. Great service from Merlin. Replaced a well loved pair. Good sizing guidelines and good fabric and chamois. Good Value shorts and this is my second pair. Last ones work for 3 years though pad is now quite worn and offers less support. The new version have a nice design. Best thing is the cooltech fabric that works a treat in hot weather. I have worn in temps up to 40 degrees and legs did not overheat. Great value at normal or sale price. Very comfortable and well fitting shorts. Look well made and wash well. These shorts are very comfortable and well made, and the padding is very good for long rides (over 100km). Also the sizing was accurate for me - I am L and L fits. Shorts are great, sizing normal. The pad feels a bit bulky but I suppose that comes with the gel. This is my second pair of Lusso shorts! They are soooooo comfortable which means I can spend hours in the saddle day after day. Really comfortable, but are pretty long compared to most other shorts at the same size. I have just completed a 106 km event style ride on Vancouver Island and the shorts were very comfortable and had no issues. I am 5'7" , 146 lbs and usually take 31" waist pants. Very impressed that these are made in the UK, sweatshop free, and still seem better value than others I've had. The pad is very comfortable and the fit is good for me - I'm a lanky 6'2"/ 78 kilos/32" waist and Medium is good on the waist and also length of the leg. The fabric is not super-lightweight but at this price I wouldn't expect it to be, and it appears durable with double/triple-stitched seams. Good quality shorts that are comfortable beyond 100 miles . I go up a size and find that a good fit. So for my 36" waist I buy XL, tight enough in all the right places! I like that they are British made. Great quality, very comfortable over long rides and for a great price. Seem to be well made. I ordered XL but they are too big so I just ordered Large and will keep the XL for when I get fat. I am 6' and 180 now. Nice shorts and reasonably comfortable. Large size was spot on. Great fit and comfy, bit of a bargain really. I bought these as I want to put miles under my seat and these shorts offered a gel solution. I have ridden about 150 miles in them so far and I would highly recommend them. I will be buying more of these! I've been cycling for over 30 years and having recently returned to the bike I treated myself to a pair of these Lusso shorts. Fantastic fit, comfort and quality. Great fit and very comfortable on shorter distance time trials. Can't justify a full bibset for shorter distances and these do the job fine. Good padding for extra comfort. Comfortable shorts with a good quality feel. There is a decent amount of padding that doesn't restrict leg movement. Size of Medium gave a reasonable fit, although as someone of average height but with a very slim build (5'11, ~10st, 30in waist), I can't see myself finding cycling shorts that are either tight around the legs or quite long enough. Material seems very breathable, I don't get much sweatiness. It also gives minimal friction against the saddle. Good fit with leg grippers that work well, and quality stitching. The only drawback (IMHO) is that it seems like it has twice as much padding required for a comfortable ride. These are fantastic shorts. I already had one pair but saw them on sale again so decided to get a second set. The latest pair have a mixture of panel fabrics with some appearing like traditional lycra (outer legs/sides) and others (inner leg, central front and central back) appearing to be more ventilated fabric. I imagine this makes them even better in warm conditions and when used under something else. Made in Britain is a nice bonus too! Comfiest shorts I've worn (although I haven't tried many to be fair), very well made by a UK company as well. What's not to like, bargain. Pad is thicker than some for long distance rides. Great shorts, pad is quality and fit as per size guide. Very comfortable shorts. Padding in exactly the right places for me. Wish I had bought these sooner. Fit well, and good value for money. However, like most shorts, larger sizes made for taller riders so may be a bit long for some. Great fit and comfy short for the money. Uk sizing so larger than most brands. Good padding for medium to longer rides and a quick efficient service by merlin as always. .
Great quality at this price. Nice thick padding that survives cold wash in the machine well. Really good fit (medium for my 32inch waist) Best of all they breathe and wick well, even in the heat of the Saudian Arabian desert where I do most of my riding I am not getting unbearably hot. Recomended. Very comfortable, not AS comfortable as I thought it was going to be going by other reviews, but I think this is the pinnacle of what gel insert can offer. Ain't it great when you find a product that fits you perfect, are extremely comfortable and last...these shorts do that. 3rd pair just bought. Use them as liners under baggies. The size chart is accurate, comfort level is great for long rides, nothing to complain about. Nice product. nothing more required than these. Good fitting and do the job. ie you dont think about the saddle or the shorts when riding all day. Good pad , good shorts. Quality materials, stylish, effective and made in the Uk. Will definitely consider buying more Lusso products in the future. Merlin service excellent. These are very comfortable shorts; the padding seems to be where it ought to be and nowhere else and even on hot days you get a nice level of airflow through the material. I don't much like leg grippers but I don't notice these at all - they do their job without causing any irritation. They're even made in Britain - it's nice to know you're buying something that hasn't been made by virtual slave labour in a sweatshop on the other side of the world! Good fit (British sizes) Made in England and very comfortable to wear (12 hours in the saddle) quality very good and easy to wash. What more do you want! And lastly excellent service from Merlin who put other online retailer to shame. 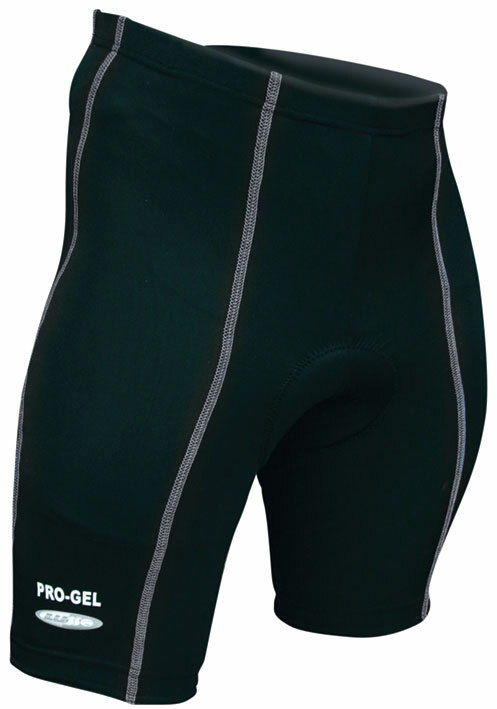 Have used Lusso Pro Gel shorts and bib shorts for several years now. Find them comfortable especially in the heat and good value. Really comfy chamois, haven't worn any of my other shorts since buying these!